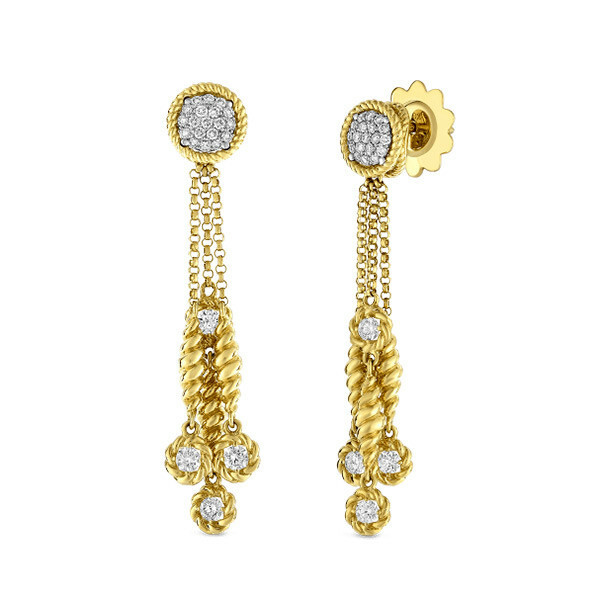 Dangling in diamonds and gold, this pair of Roberto Coin earrings from the New Barocco collection are smashing. Link chain drops 18kt yellow gold spindles from a diamond studded button to create each earring in this set, and post backings keep these beauties comfortably in place. Only Roberto Coin can bring an old world look to a cosmopolitan world.